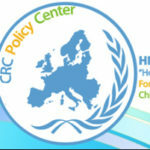 Julia Andreou is employed at "Hope For Children" CRC Policy Center as a Programme Assistance Officer, under the Humanitarian Division of the Organization. She studied BA in Social & Behavioral Sciences with a major in Sociology, at the European University of Cyprus (2008-2011), where her thesis focused on the theory of national identity & nationalism and their emergence at the time in the enlarging European Union, incorporating data from the European Social Survey. Following her Bachelors she earned her Masters of Science in International Relations at Kingston University,London (2011-2012) where she undertook as a thesis subject the accession of Turkey in the European Union and the Cyprus Problem. She has successfully completed an internship program at the Ministry of Foreign Affairs of the Republic of Cyprus, while on her bachelor. 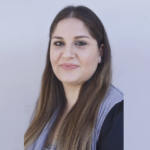 Before finishing her bachelors, Julia has formed along with fellow students, the Sociology Club at the EUC, while after that she continued her collaboration with the same fellow students in the Cyprus Sociological Association. As a member of the Association she has taken several seminars and training's on social issues such as Cyber Crime, Violence in the Family, and has also given seminars on The Social History of EOKA and on The Phenomenon of Hooliganism in Cyprus and its Impact on Children & Youth. In 2014, Julia has worked for the EUIPCD (European Union & International Police Cooperation Directorate) of the Cyprus Police, in which she held 2 positions, one in the Human Rights Office of the Directorate, and one at the Europol National Unit simultaneously.